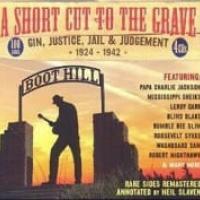 A fascinating compilation exploring the interaction between the Urban, Vaudeville Blues and Country Blues performers. This music used to be called 'Classic Blues', it's the music of Bessie Smith and Ma Rainey and dozens of other women singers of the 1920's. But there was amazing interaction between the Urban and Rural, sophisticated and raw. 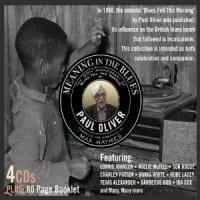 This 4 Cd set explores this in depth. 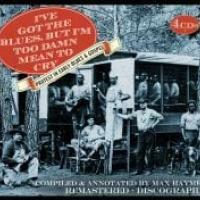 Compiled by Max Haymes it's an expert's take on the amazing burst of creativity of the 1920's blues scene in all its rich glory and vast musical spectrum. The Blues' rural beginnings in the last years of the 19th Century was followed by an early urbanized form, termed later in the 20th Century as 'Classic Blues'. This did not adequately describe recordings which ranged from the truly classic to material more at home on the music hall and vaudeville stages. 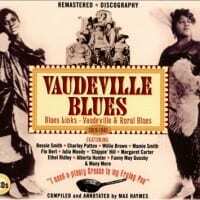 Blues, of course, was a hybrid - stemming from such sources as the field songs of the Deep South, tent show songs, and the vaudeville and music hall performers of early Twenties ragtime - virtually every Classic singer owed a debt to music hall and cabaret. As singer and critic George Melly put it, ...there is a proportion of the worthless, the mechanical, the contrived, but there is also a gaiety, a vitality, a sense of good time. 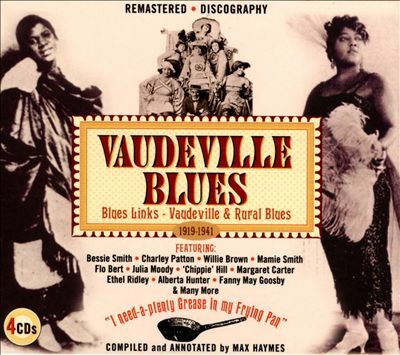 Improbably, Vaudeville Blues was dominated by female singers, some of them staggeringly charismatic and self-confident. Its peak of popularity ran from 1920 until the middle of the decade. Only a handful of artists continued making records after the onslaught of the Great Depression. Here is a selection of the best, expertly compiled and annotated by historian and enthusiast Max Haymes.